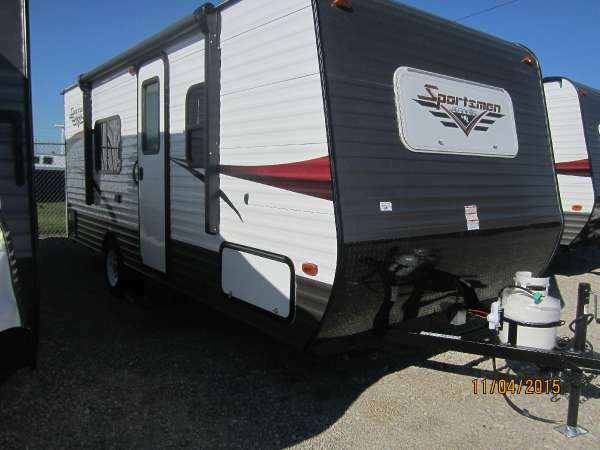 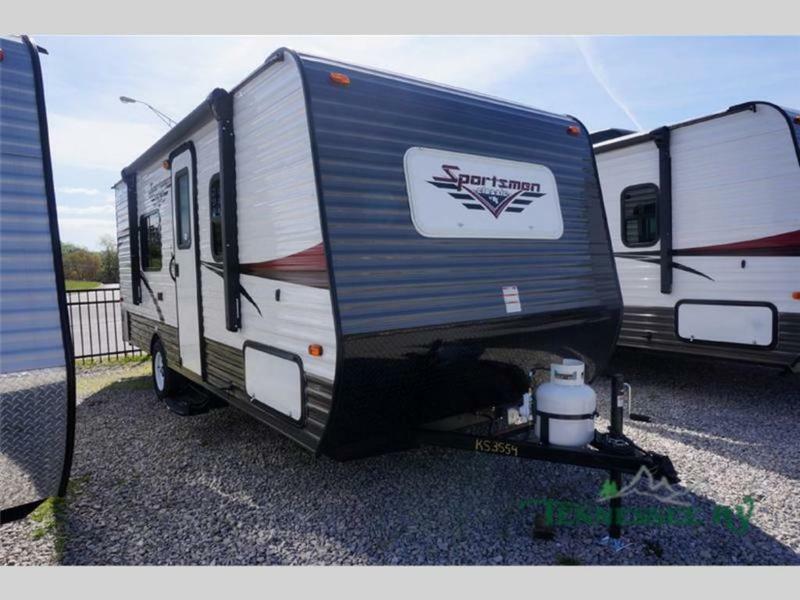 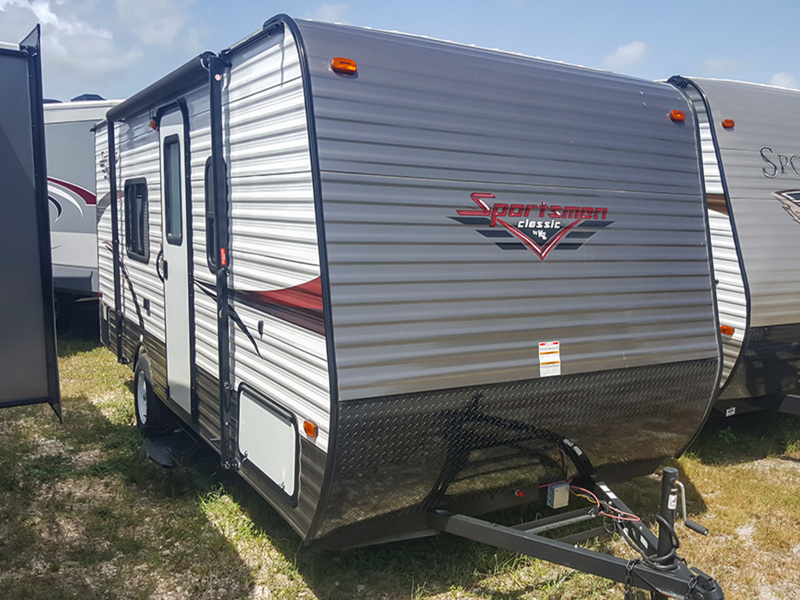 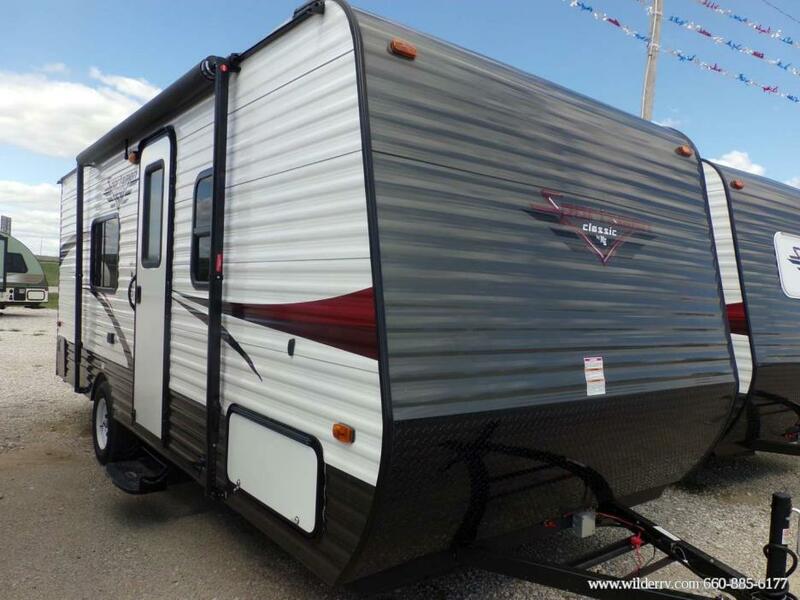 2014 KZ Sportsmen Classic 200, The Sportsmen Classic 200 travel trailer by KZ offers plenty of room for a small family to enjoy a weekend away. 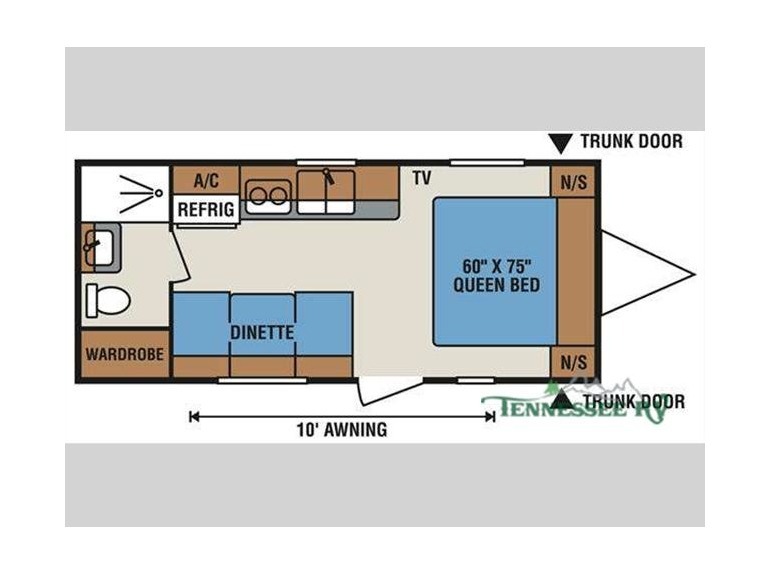 To the right of the entrance you will find a bed and nightstands on either side of the bed. 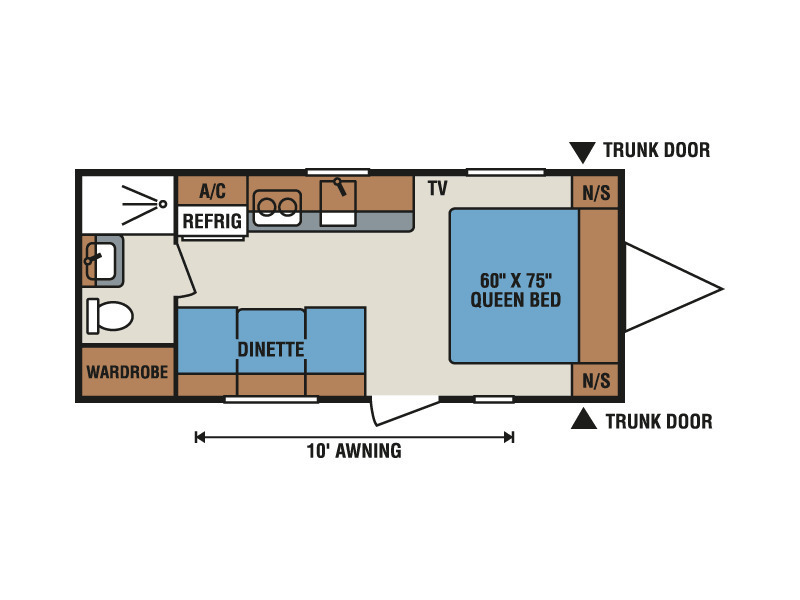 The kitchen area has a dinette on one side of the travel trailer and a sink, two burner range, and refrigerator on the other side. 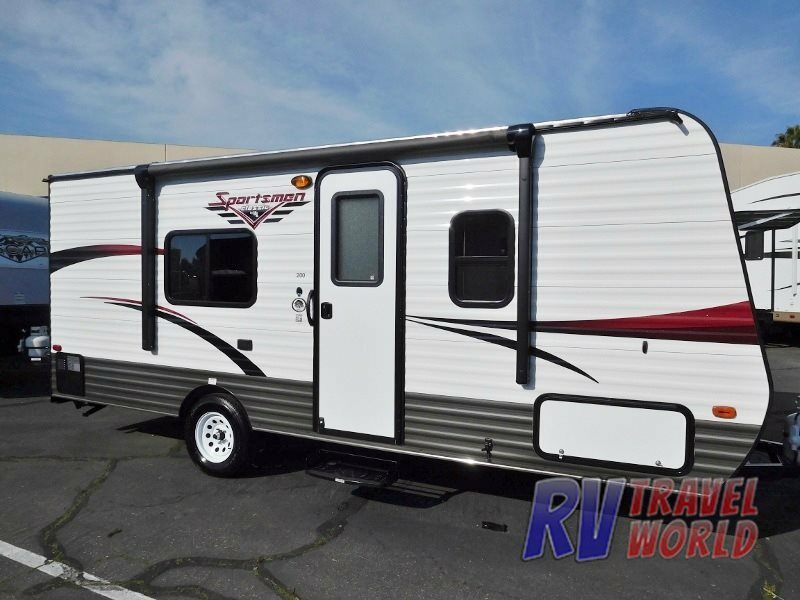 The bathroom is located in the rear and has a shower, sink, toilet, and large wardrobe. 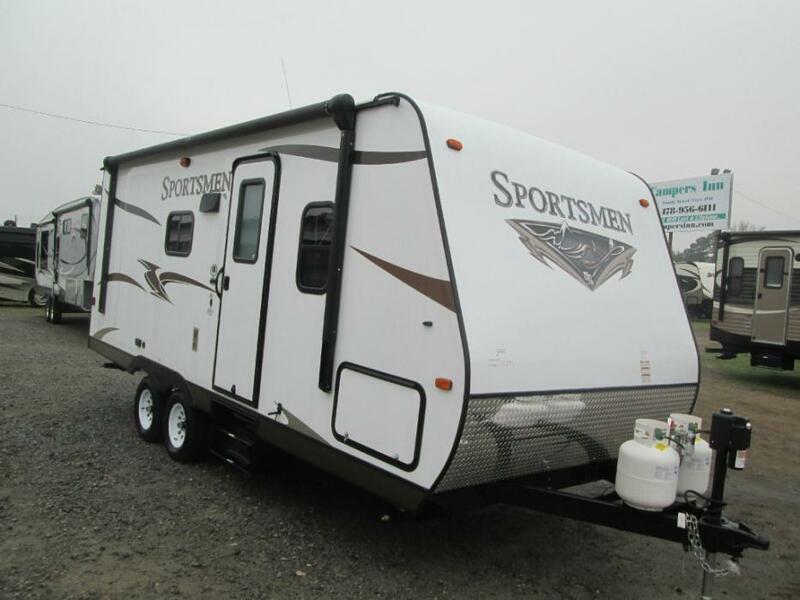 2016 KZ Sportsmen Classic 200, The Sportsmen Classic 200 travel trailer by KZ offers plenty of room for a small family to enjoy a weekend away.To the right of the entrance you will find a 60" x 75" bed and nightstands on either side of the bed, plus overhead storage above the head of the bed.The kitchen area has a dinette on one side of the travel trailer and a sink, two burner gas hot plate, and a refrigerator on the other side.The bathroom is located in the rear of the trailer and includes a shower, sink, toilet, and a large wardrobe.You are sure to enjoy the exterior 10' awning's shade, and the pass thru storage compartment for loading and unloading your outdoor gear.